Dogwood Village of Orange County has awarded a major scholarship to Germanna Community College nursing student Danielle Wallace. Wallace is a 2013 Orange County High School graduate. She works at DVOC as a certified nurse’s aide and is studying at Germanna toward her associate’s degree and her registered nurse’s license. Her ultimate goal is earning a master’s of science in nursing degree and working in a hospital. The new scholarship was established by the Dogwood Village of Orange County Foundation to promote the nursing profession. Scholarships are awarded for up to $3,000 per year towards the initial licensure and associate’s degree in nursing, either as an LPN or RN, including the transition from LPN to RN. 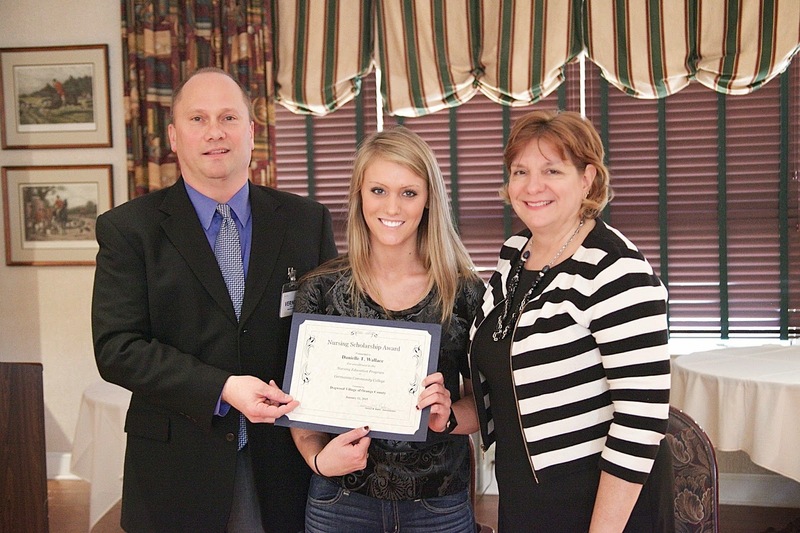 Once awarded, the scholarship automatically renews as long as the student remains in good standing in the program. Once the licensure is received, the recipient agrees to work for DVOC in at least a regular part-time position for two years. DVOC also has a traditional reimbursement program that will help towards advanced degrees if recipients are interested once they receive the initial license. Germanna Dean of Nursing Patti Lisk said Wallace is an outstanding student whose intelligence, commitment to patients and upbeat personality will make her a great nurse. Writer and illustrator G.E. Gallas will share work related to William Blake, the English poet, at 11 a.m. Feb. 4 in Sealy Auditorium on Germanna's Fredericksburg Campus in Spotsylvania.